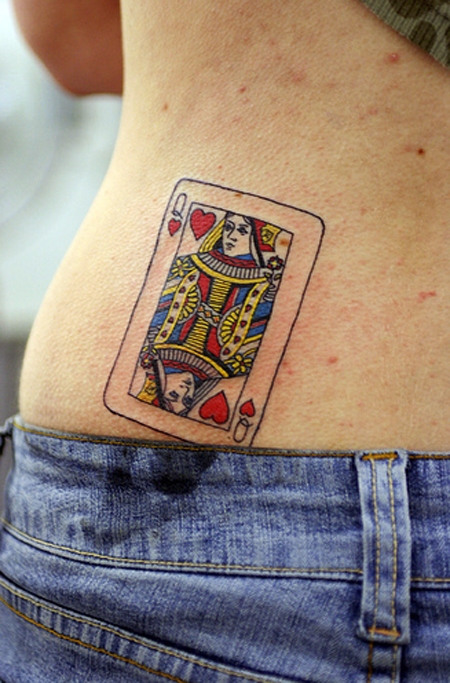 A standard deck consists of 52 cards, four suits, and two colors. 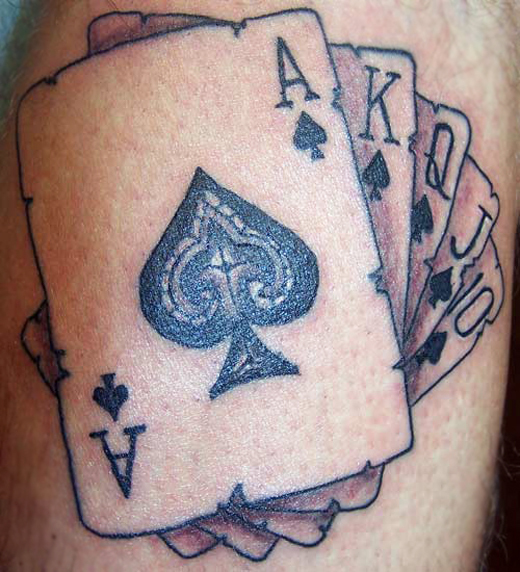 The four suits are Spades, Hearts, Clubs, and Diamonds. 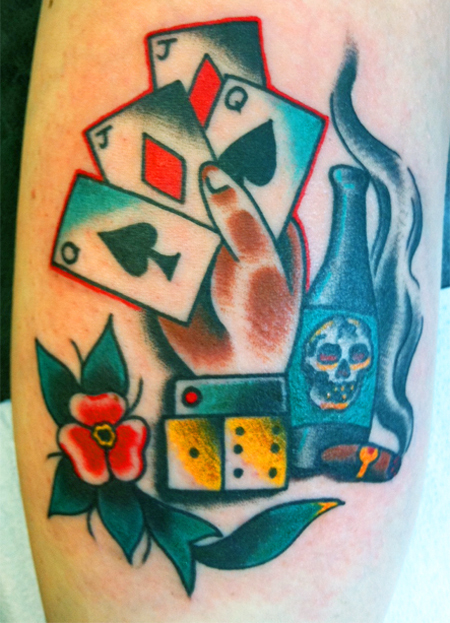 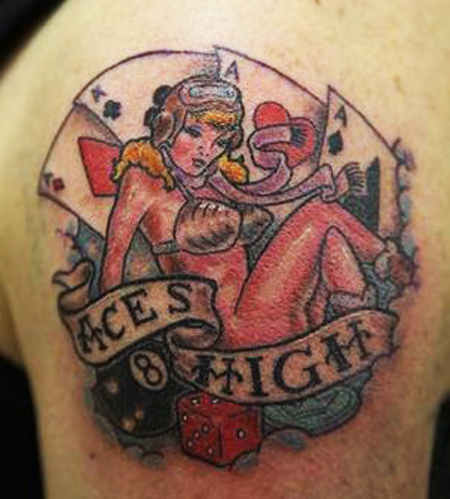 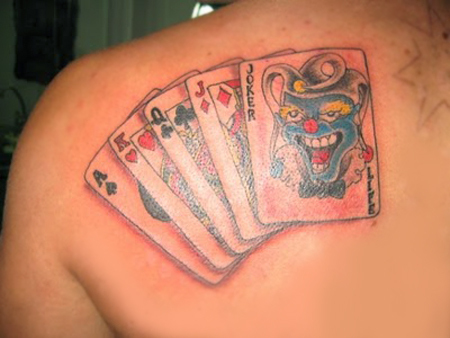 Playing cards are often used in tattoo designs, either to represent a love of gambling or to illustrate a greater significance. 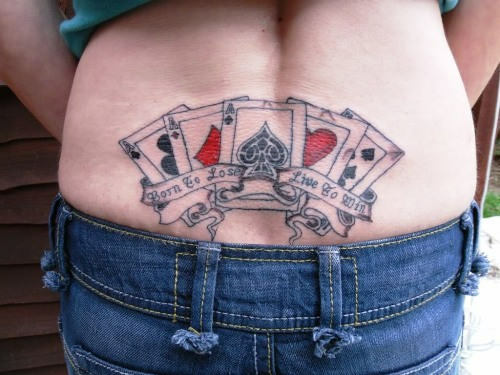 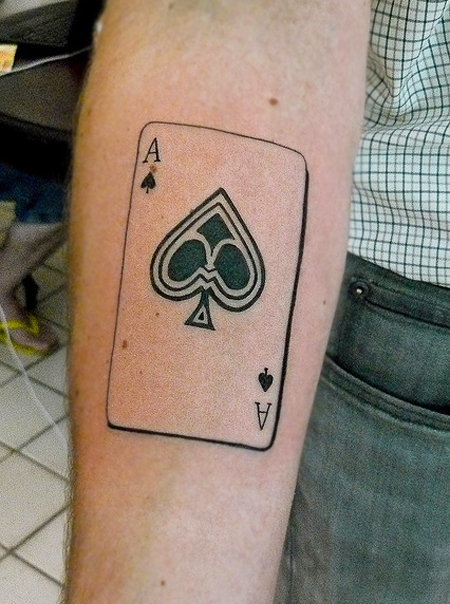 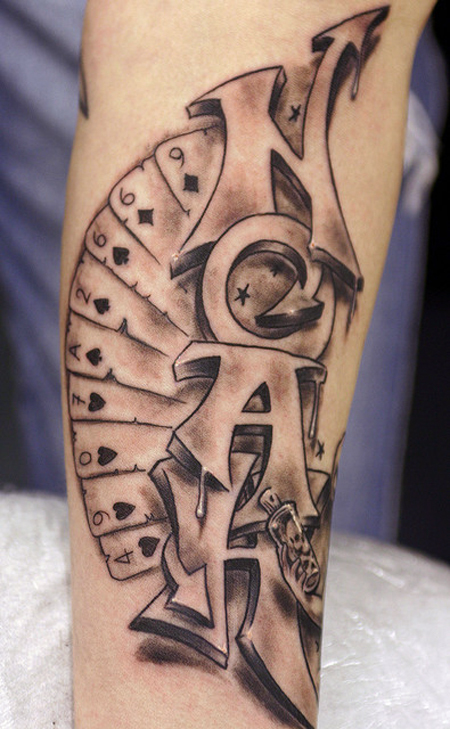 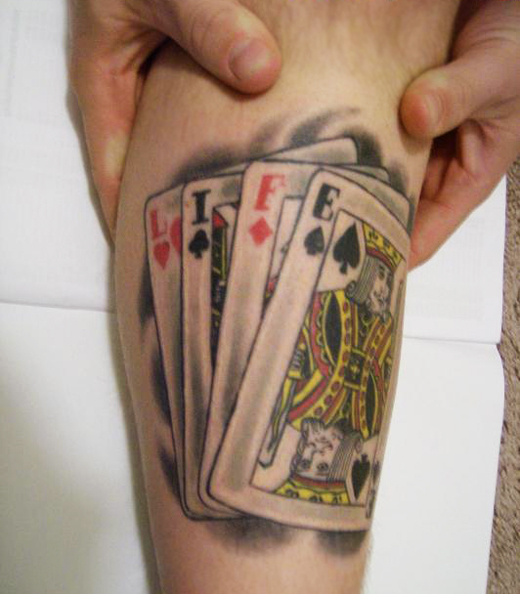 The most commonly tattooed card is the Ace of Spades. 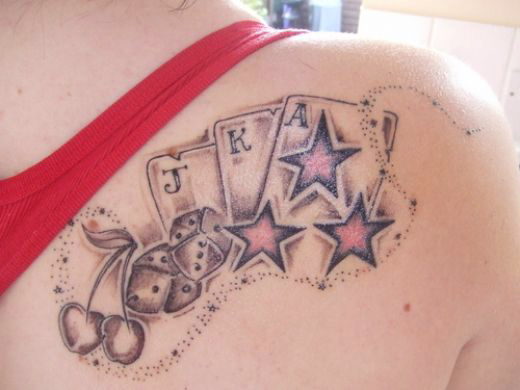 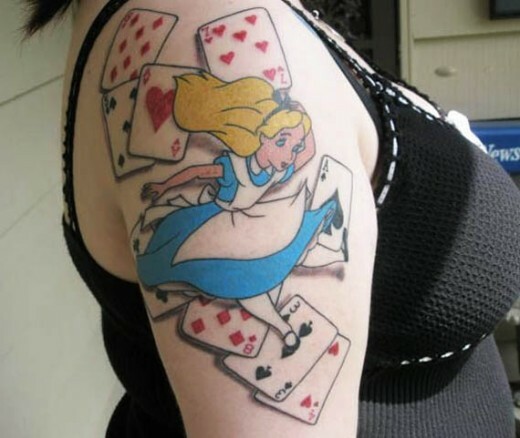 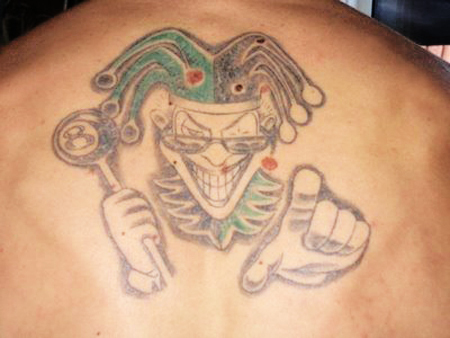 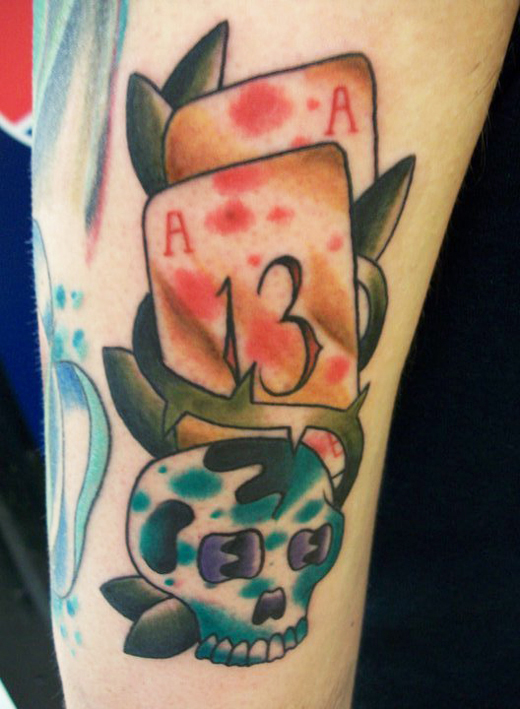 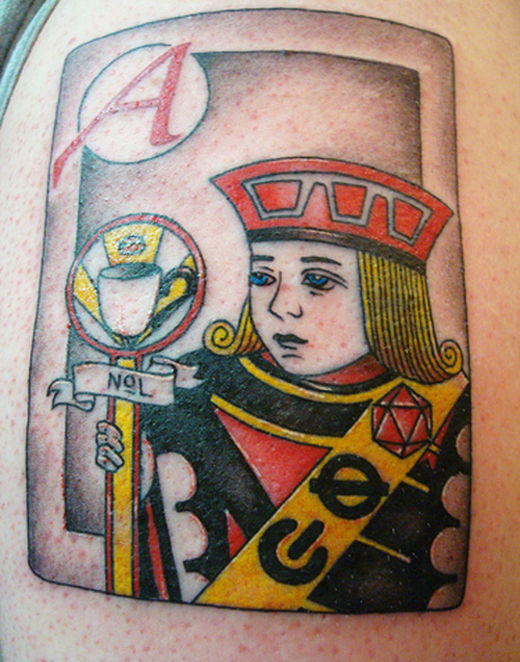 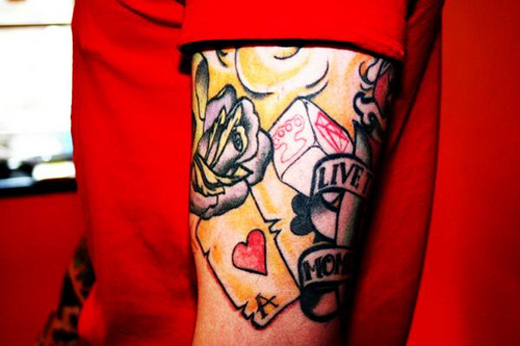 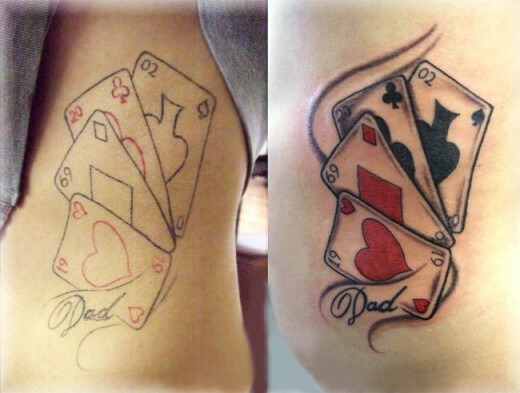 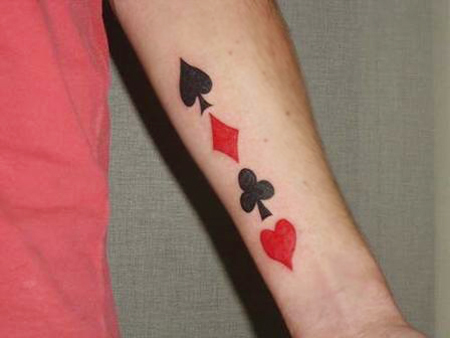 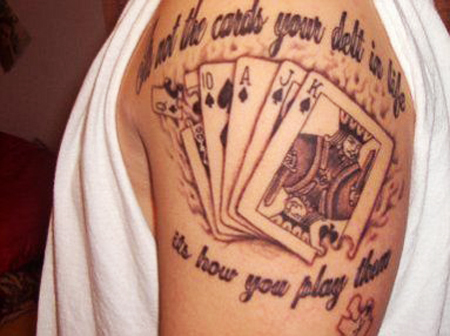 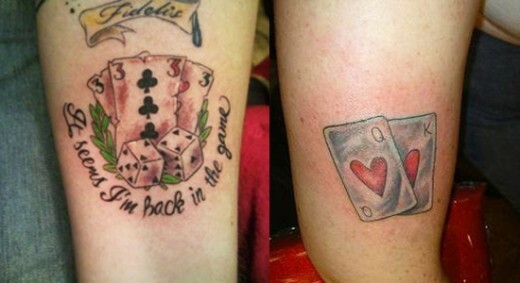 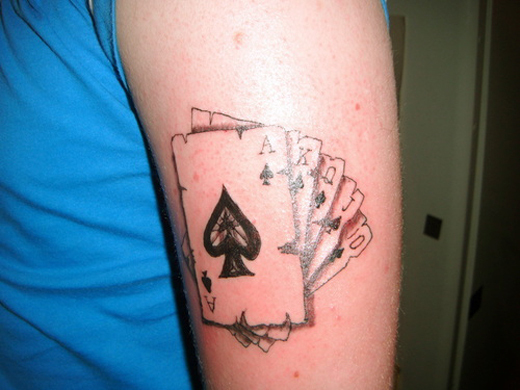 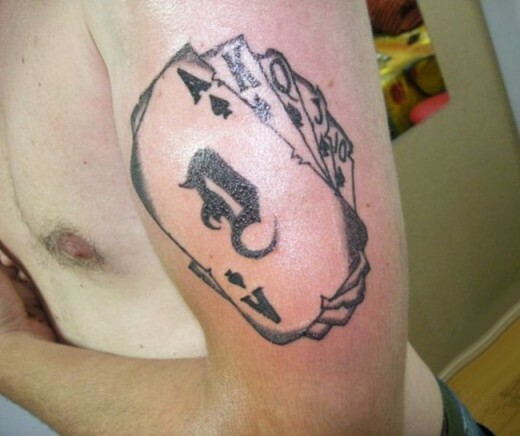 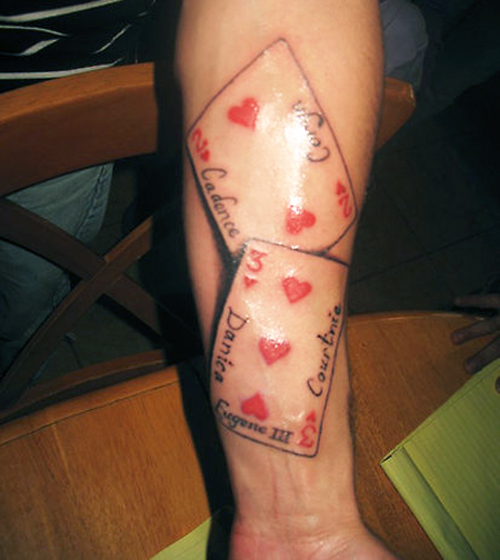 Card tattoos don’t always represent a love of gambling. 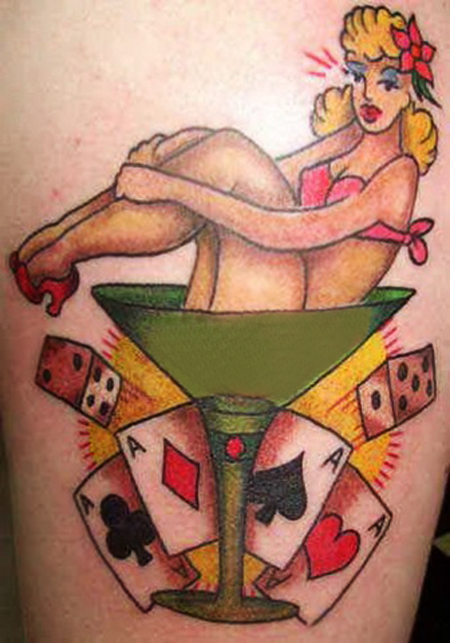 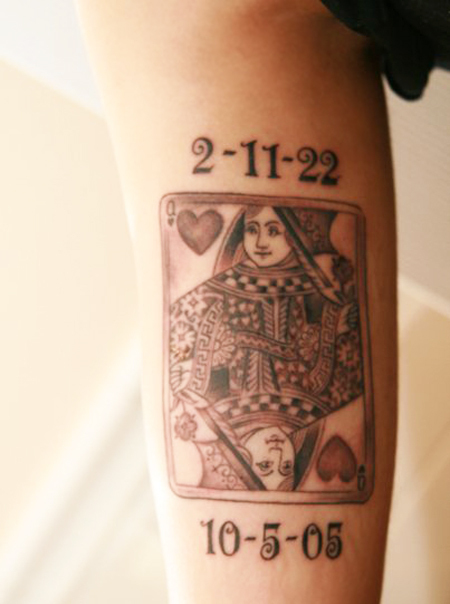 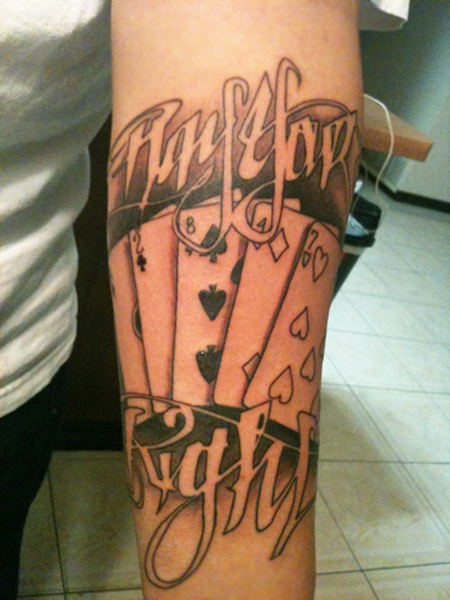 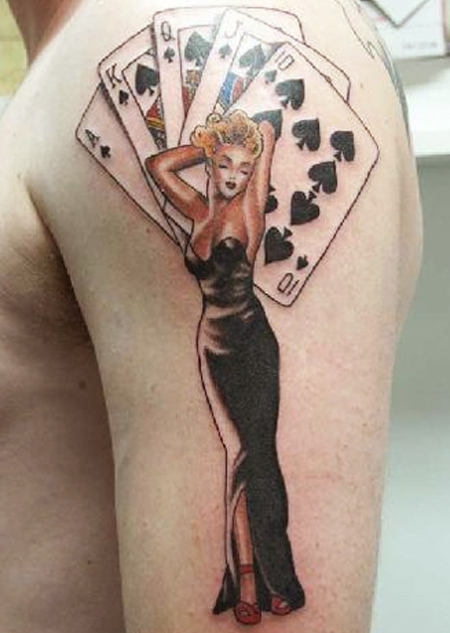 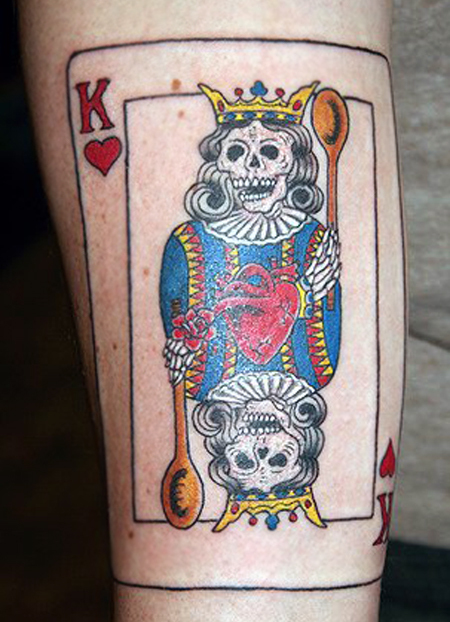 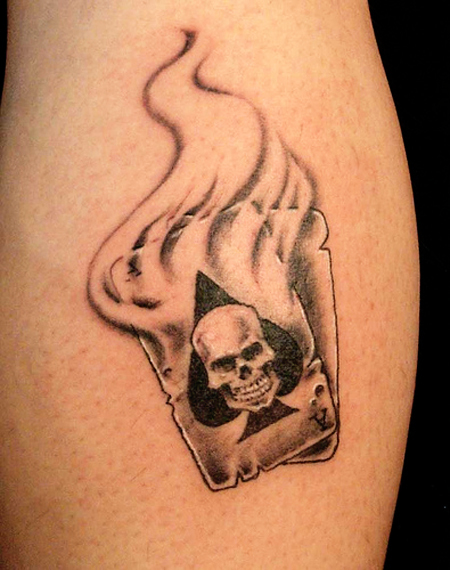 In fact, cards are often featured in tattoos that warn against the dangers of gambling and other nefarious activities. 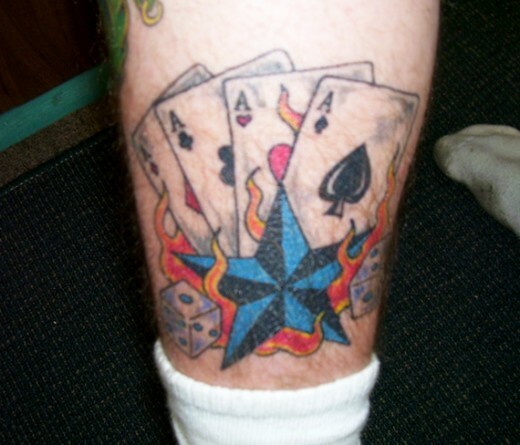 These tattoos also include lucky tokens, like four leaf clovers, horseshoes, coins, or lucky numbers like 7 or 13. 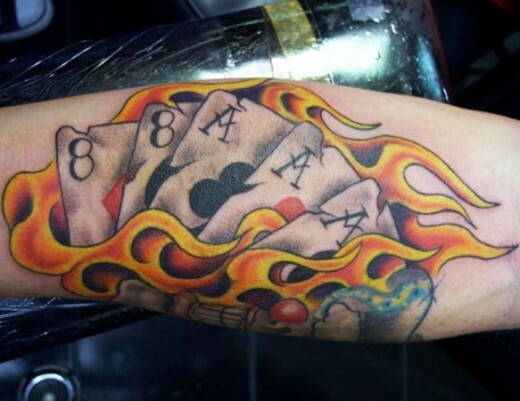 It is interesting that card tattoos can represent both good luck and bad luck, the intrigue of gambling as well as the dangers of indulging. 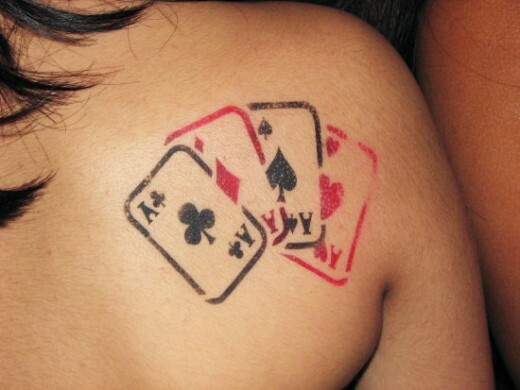 Card tattoos come in an assortment of styles. 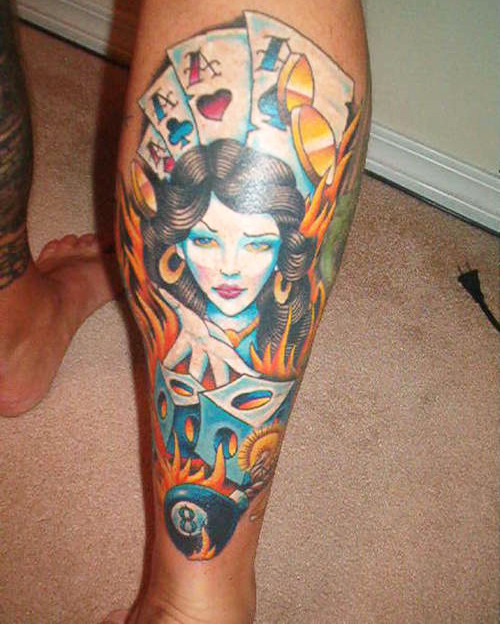 From traditional to new school and realistic to abstract and modern, there are endless artistic variations. 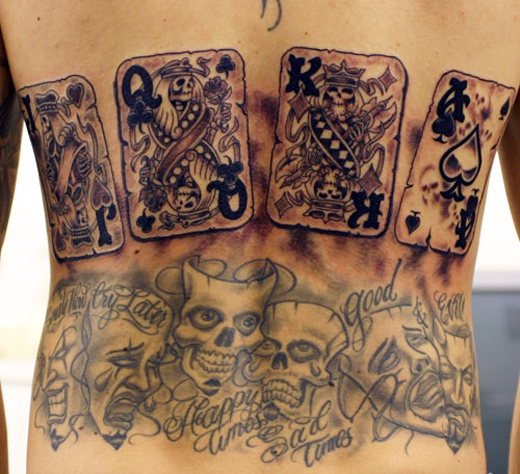 Man has obviously had a fascination with tattoos, body art and adornments throughout history, with tattooing being one of the oldest art forms on the planet.